If you’re planning a trip to Bali, you might think.. While that is an activity most people do and find fun, you’re missing out on quite a bit just doing that! 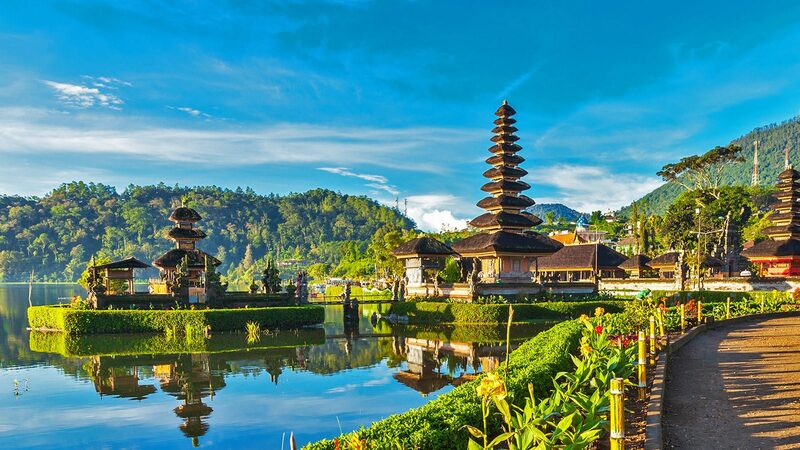 Let’s make things clear, there are many things to experience and see in Bali besides the beaches although they are some of the best in the world. You might think the tourist activities are just run by tour companies who take your money and give you a generic experience like everyone else. However, the ones in Bali are not like it at all! They are worth the visit and give you an eye-opening experience to a culture and society different from yours! Once you start researching, you’ll be overwhelmed with everything and spoilt for choices. You might not even know where to begin. In this, guide, I’ll outline the best places to visit, things to do, and food to eat in Bali. Goa Gajah is home to the fountain of youth and the famous Elephant Cave. When you come to Goa Gajah, you’ll first see six statues of women who have a pot held up to their stomachs. Water is pouring out of the pot and into the fountain. The water is completely safe to drink so go ahead and take a sip! You might suddenly feel rejuvenated! The Elephant Cave’s name is misleading; you won’t find a single elephant there. The cave was named after the elephant since it symbolizes education. Once, it was a school over hundreds of years ago. If neither of the two main sites appeals to you, then going there for the lusciously green landscape and ancient temples ruins should be just enough. Just a note, since this place is a sacred and religious monument to many, your legs and shoulders should be covered. It might be hot, but the locals will appreciate you showing respect to them. The Ubud Monkey Forest is one of Bali’s main attractions for its cool air even though the sun still shines brightly above your head. Besides the monkeys, you can traverse through the forest and find statues covered in moss and other native plants and animals. If you are a monkey fan, be warned that although these guys look adorable, they’re still wild animals. Avoid wearing any loose clothing as they can grab it if they want to. Of course, avoid taking food with you; if they smell it, they’ll go for it! Even if it’s buried deep in your bag. This also goes for phones too! This place is home to an underground home that it more like a labyrinth. It was made using only hammer, chisel, time, and patience. This structure contains a full house containing a bedroom, eating and food preparation area, and a meditation room. This can be done through Booking.com or different work exchange websites. It a great way to give back to the community and immerse yourself in a different culture and lifestyle. You’ll learn practical skills and learn to be a part of the community by doing your share of work. It’s a refreshing experience and one you can make completely unique to yourself. This exciting nighttime performance is one of the most fascinating and sometimes terrifying experiences. It’s a traditional Balinese dance that uses fire to tell and develop a story. The choir of men accompany the dance and either sing, sway, stand up or lie-down as the dance goes on. Trust me, you’ll be amazed by this wonder for its beauty and intenseness. It’s something you don’t want to miss when you visit Bali. This underground cave found at Uluwatu Beach is where you can go to avoid the mid-day sun. The cave has a mystical atmosphere to it although there are not many stories backing up if it served as a religious and refuge place for anyone. Bak-So is an Indonesian-style meatball made from beef surimi and is put in a soup with noodles and other local spices. The best place to get this Indonesian dish is from the local markets. Go where there is the least number of tourists so you get the real deal. This dish is made of marinated, spitted or grilled meats, served with a spicy sauce. The meat usually found in the dishes vary from chicken, goat, beef, pork, fish, eggs, or a mix of them all. If you want to western the dish, you can have it with tofu. This is a favorite dish among locals and tourists alike! This is made from an entire duck or chicken that the cook stuffs with traditional Balinese spices. Once the meat is prepared, the cook wraps it in banana leaves and then keeps it completely covered in banana tree bark. Then it’s cooked in coal for 6-7 hours. Once made, its succulent and juicy taste just explodes in your mouth. Although this list is not extensive by any means, I hope it helps narrow down your choices as you make your way to Bali! Author Bio: This article is written by Peter Young promoting Bali Ferry. If you wish to know how you can make your visit to Bali memorable, make sure you check out the Bali Ferry Blog.